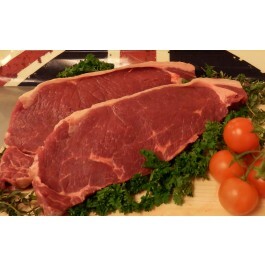 Best sirloin steak, matured on the bone and cut and trimmed to a 10oz steak. Bought from 20 mile radius of our shops. If you require tracibility, send us an e-mail, and we will tell you the exact farm it has come from. Product sold per single steak.